Cathedral Grove was one of the first places I visited on Vancouver Island. It is an old growth forest with a trickle of light penetrating the canopy of archaic trees. A place older than any person alive and astonishingly just off the main highway headed into the island's interior. It is one of those few places in the world that allows you to know what you've always known - that everything once lived and grew without machines, and human intervention. Progress wasn't marked by the tyranny of clocks. 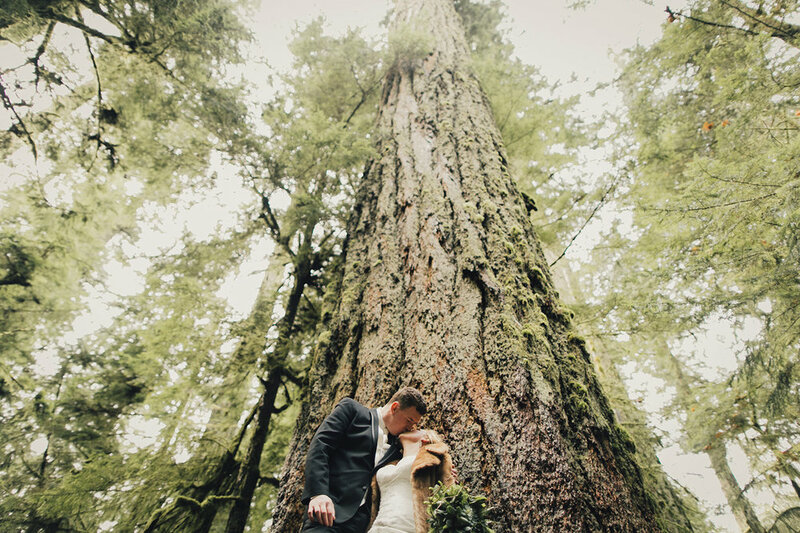 It is one majestic location for wedding photos. 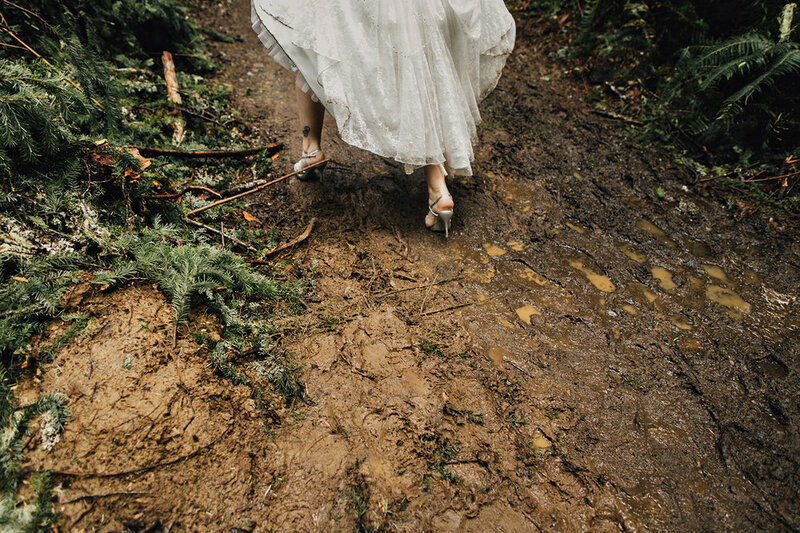 In the few hours Aimee, Chris, their wedding party, and I spent there laughing, mud treading, and taking photos after their wedding ceremony, time slipped by. I never checked my watch. There was no rush, and absolutely no rain. A fur coat is clearly all you need. 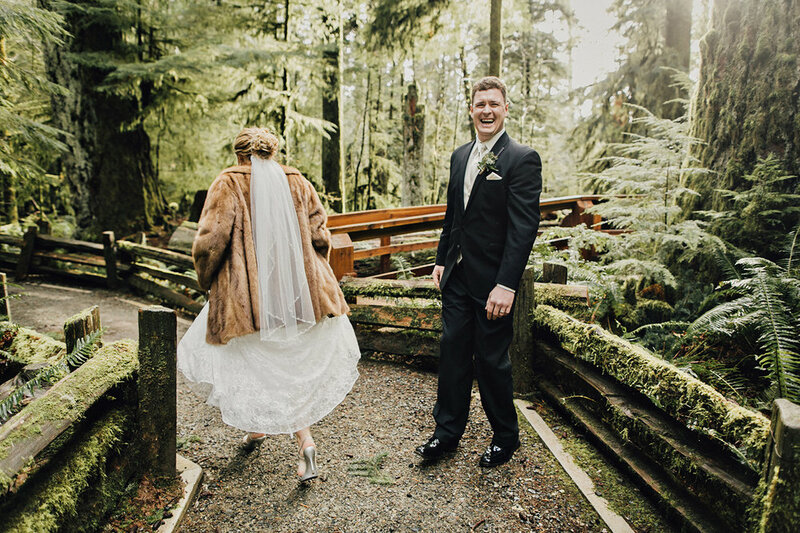 I will eventually share a full set of photos from Aimee and Chris's wedding but until then a little green blog post of cathedral grove wedding photos and short preview of what is to come.